Whether in the Cyclades, the Saronic Gulf or in the Ionian Sea, chartering this Sun Odyssey 519 is will guarantee exceptional sailing moments on the seas of Greece. 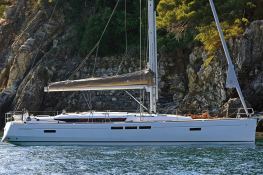 Leaving Athens or Lefkada, this Jeanneau Sun Odyssey 519 with her 5 double cabins accommodates up to 12 people. 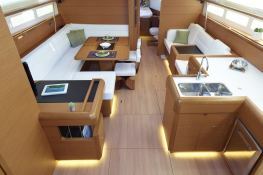 She is perfectly equipped with a large kitchen, on-board electronics and bow thruster. 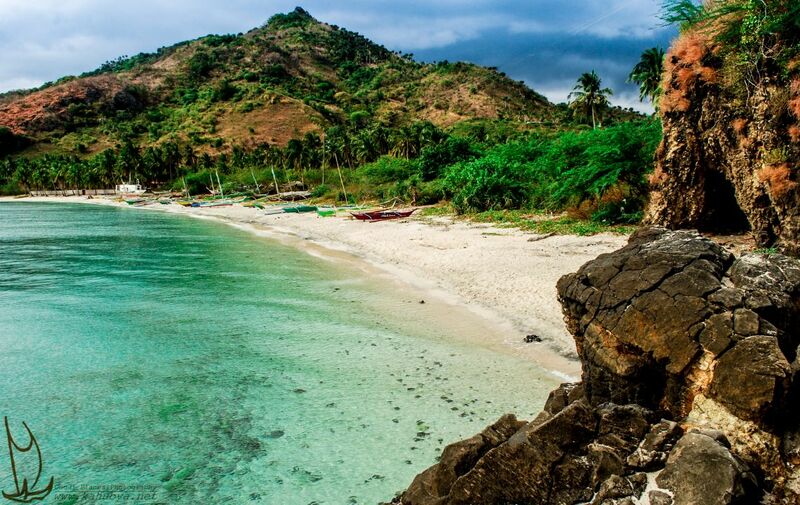 You will have the pleasure of discovering the wonders of ancient Greece whether in the Greek islands of the Aegean Sea, in the Saronic Gulf or in those of the Ionian Sea. Chartering a yacht in Greece is thrilling, yet navigation conditions can fluctuate quickly. Sailing in Greece (Cyclades) during the summer in the Cyclades should be reserved for experienced sailors. We strongly advise you to hire a skipper if you wish to sail Aegean Sea between July and August. 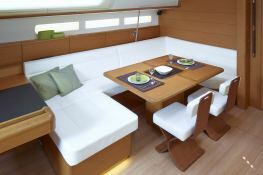 This sailing yacht is available for yacht charter with a base price of 5 000 € (approximatly 5 639 $).